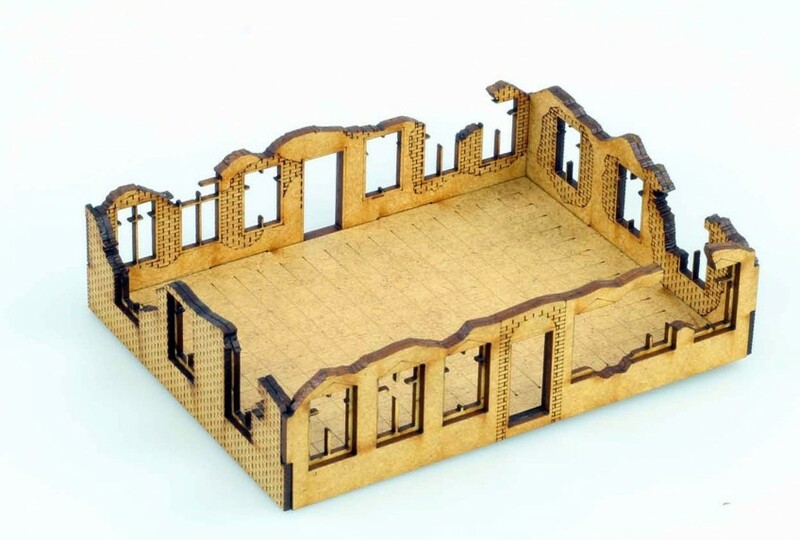 Laser Cut 2nd Generation - a series of terrain models to historical wargaming and modeling made in laser cut technology. 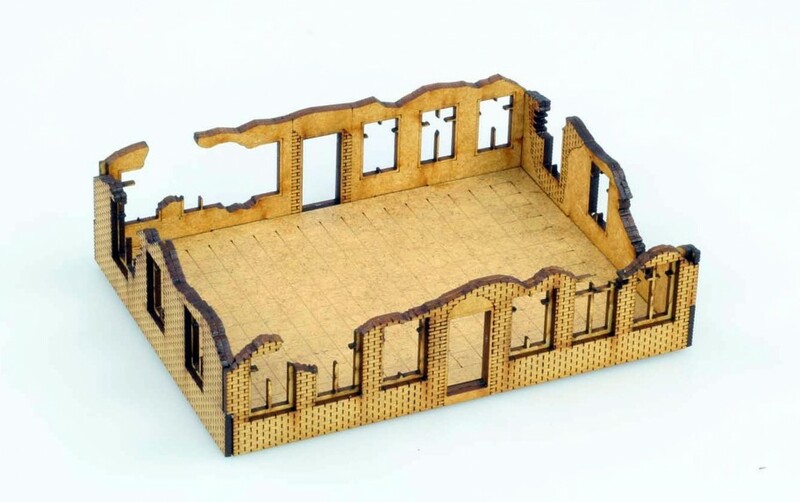 The series currently consists of many different models of buildings, factories, blocks, sidewalks or streets and allows to create interesting and attractive urban battlefield. Models in series consists of double walls thickness 1.5mm each, which allows to hide the connecting elements and levels and at the same time gives additional advantages: the depth of the windows and decorating interior walls.